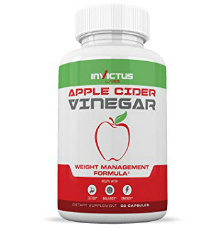 Invictus Labs Apple Cider Vinegar is a dietary supplement designed as a weight management formula. 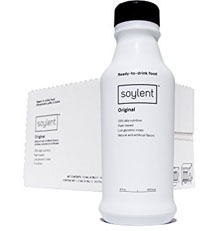 It is a product from the company Invictus Labs and is marketed as a maximum strength formula. It has been formulated to help with detox, energy and balance. Invictus Labs Apple Cider Vinegar supposedly targets a variety of health ailments, such as high blood pressure, acne, sore throat, acid reflux, common cold, dry skin, etc. 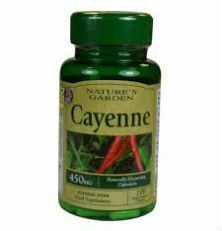 It also claims to be beneficial for hair, circulation, balance PH levels, digestion and weight loss. It is meant to enhance lifestyle changes. In regard to weight loss, apple cider vinegar is believed to help with the reduction of body fat. This is believed to be caused by the acetic acid apple cider vinegar contains. That being said, studies that noted this effect of acetic acid, involved mice. These mice, which were given the acid, had higher oxygen intake and energy expenditure and burned more fat and energy than other mice who didn’t take acetic acid. What’s more, apple cider vinegar may also help to lower blood sugar by altering how food is absorbed in the gut. Additionally, it may help prevent the breakdown of food, as well as provide feelings of fullness, both of which can also help with weight loss for those who are trying to stick to a calorie-controlled diet. In spite of these potential effects, the reality is that there is not enough research to backup claims made about apple cider vinegar, especially the effects it has on humans. In essence, this means that there is no proof that it will benefit someone who is trying to lose weight. As for Invictus Labs Apple Cider Vinegar, each serving size (2 capsules) contains 1,300 mg of Apple Cider Vinegar. This is the only active ingredient in this dietary supplement. 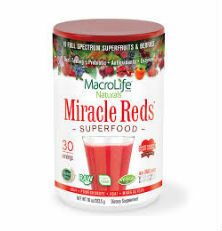 Users are instructed to take 1 capsule, two times daily, and it is recommended to take each capsule 20 – 30 minutes before meals or as directed by a medical professional, for optimal results. Although there is no guarantee that Invictus Labs Apple Cider Vinegar will benefit weight loss, or any other health issue for that matter, it’s still a good idea to speak with your healthcare provider before taking this dietary supplement to make sure it is safe for you. This is particularly important if you are pregnant, nursing, have a health condition, especially diabetes, or are currently taking any medications to treat a medical problem.